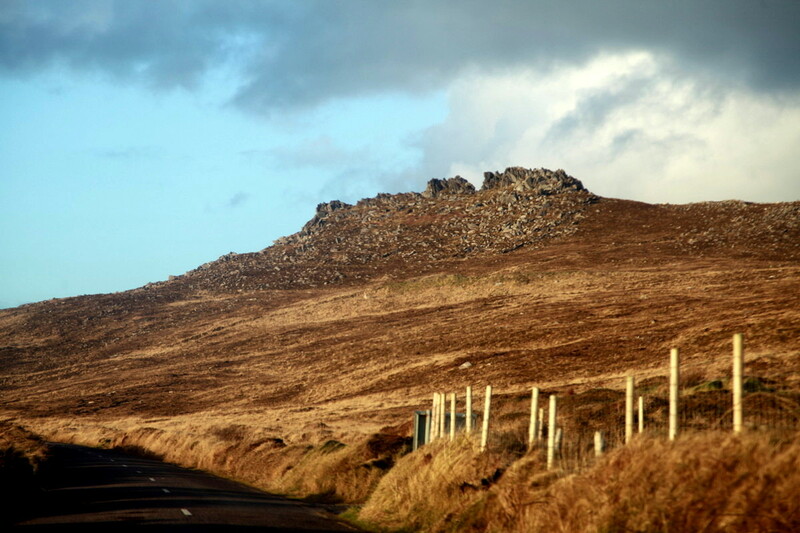 With all the festivals of late I haven’t had any time to post any pictures from the various road trips I have made in the last few weeks. 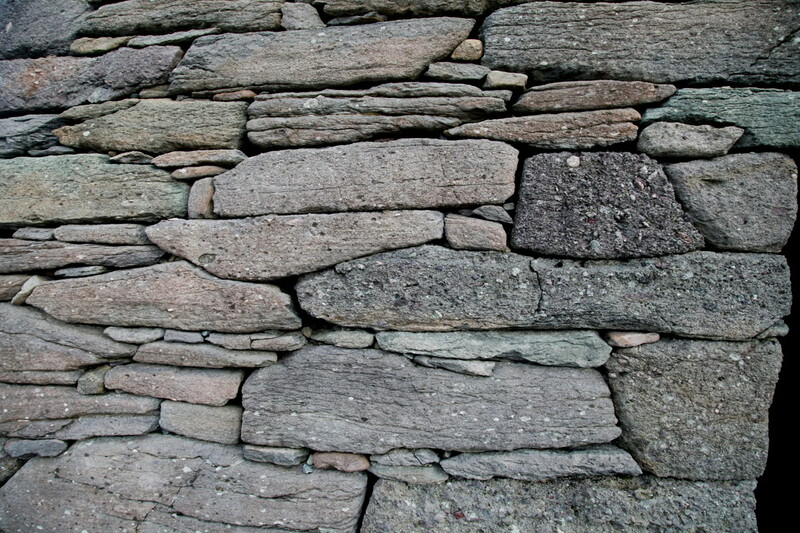 So I will try and catch up slowly. 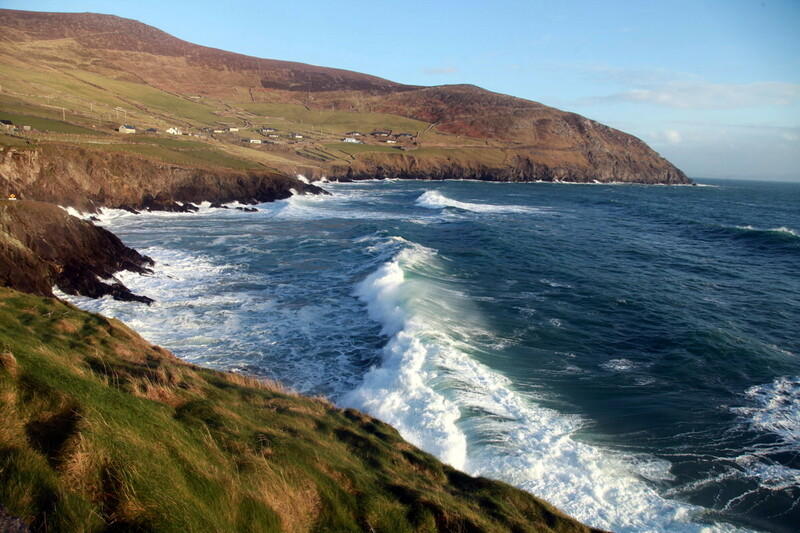 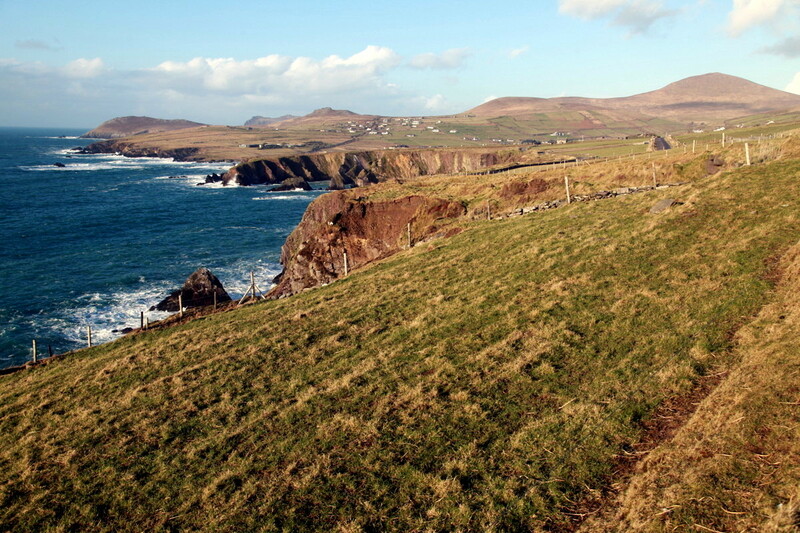 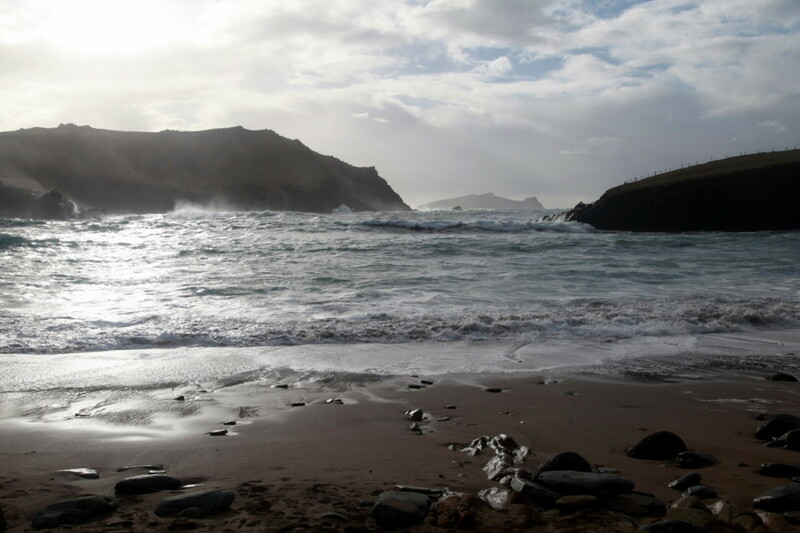 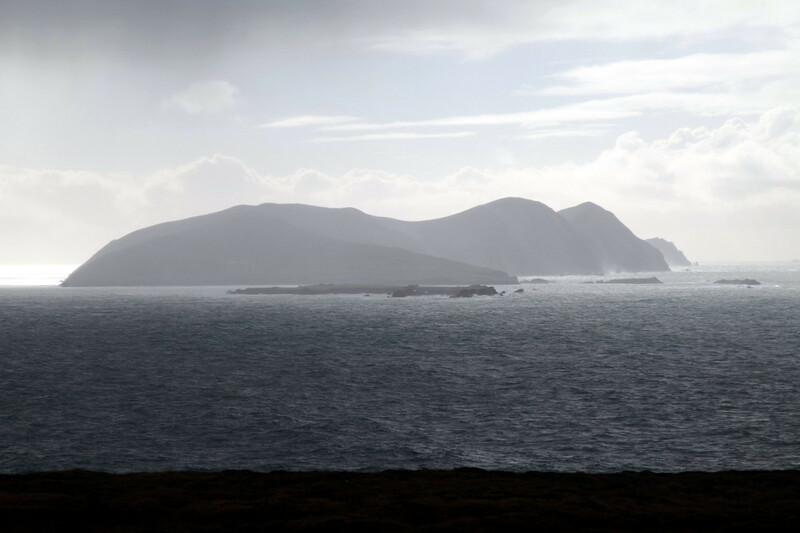 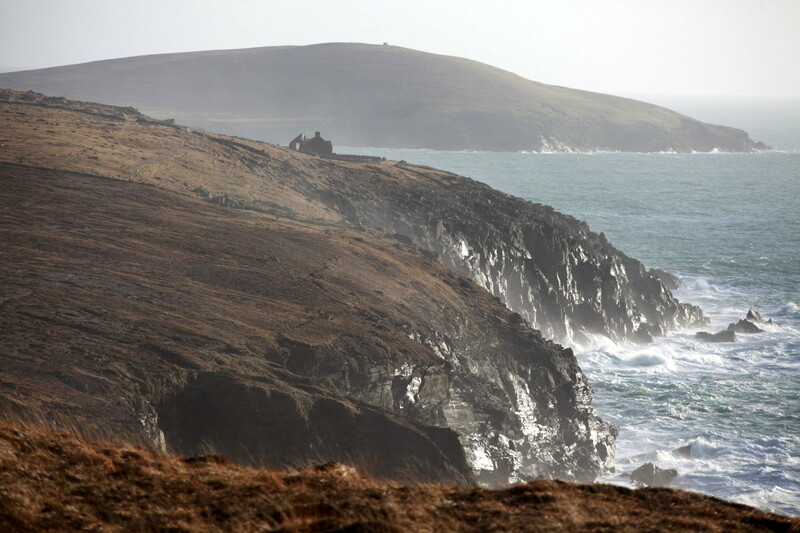 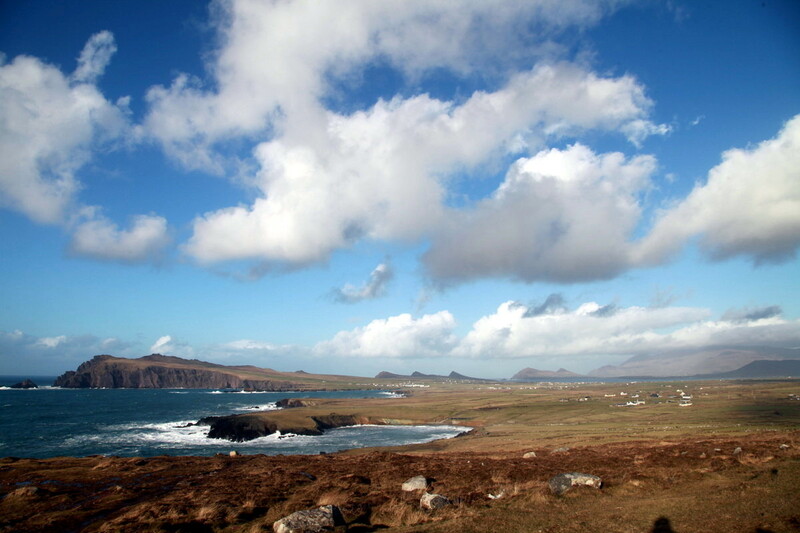 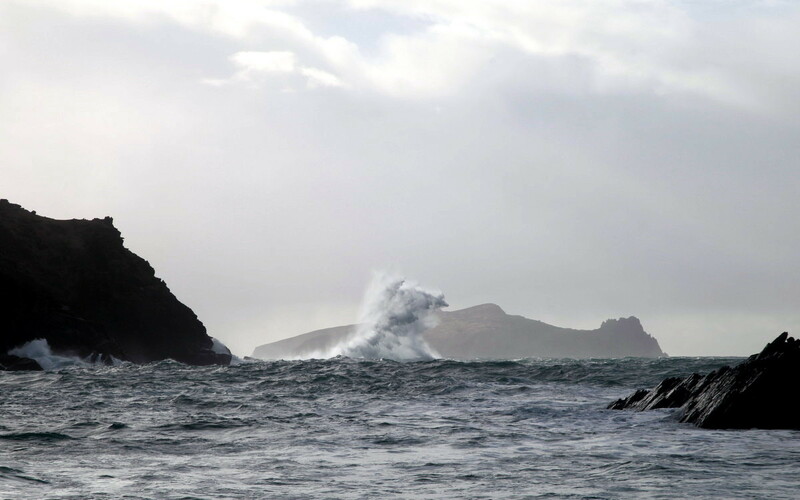 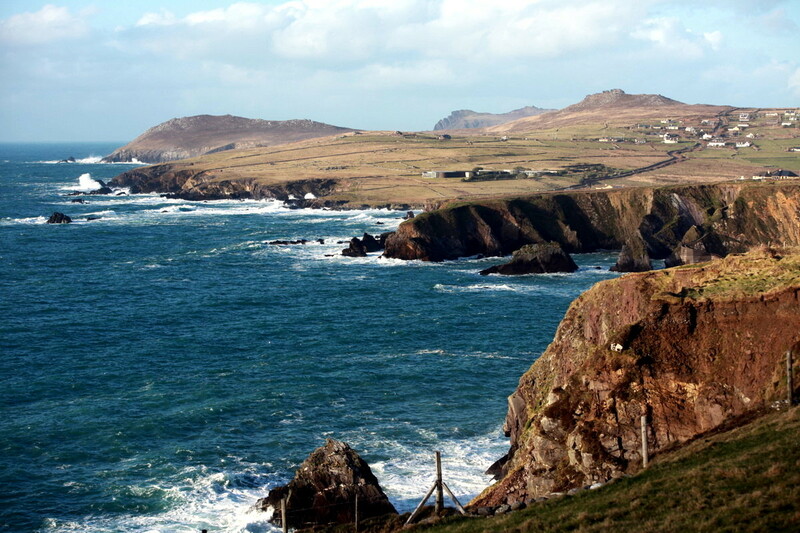 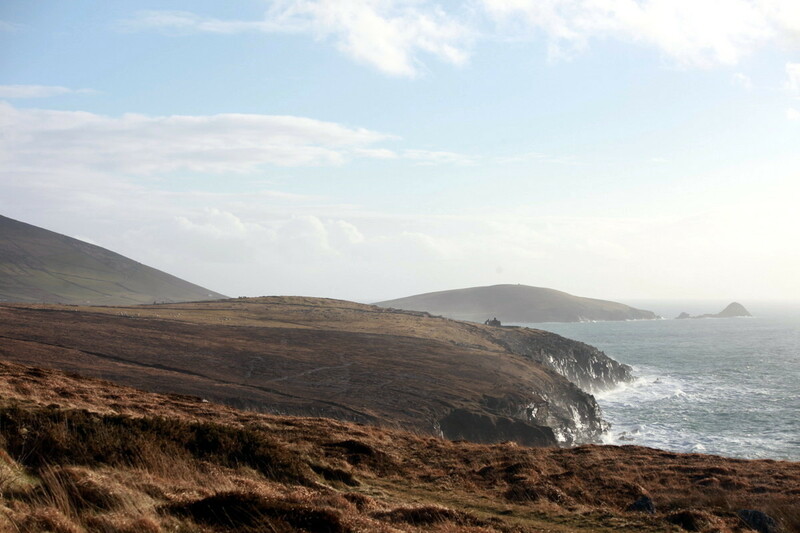 This post is about the beautiful Dingle Peninsular. 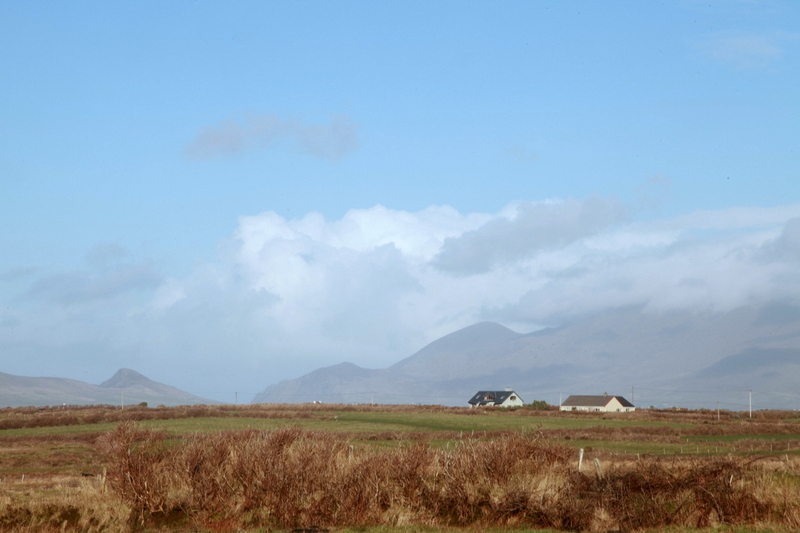 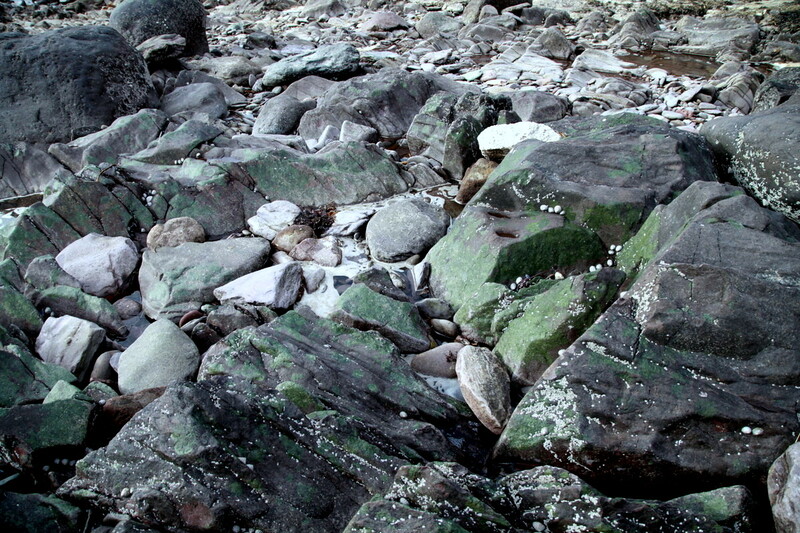 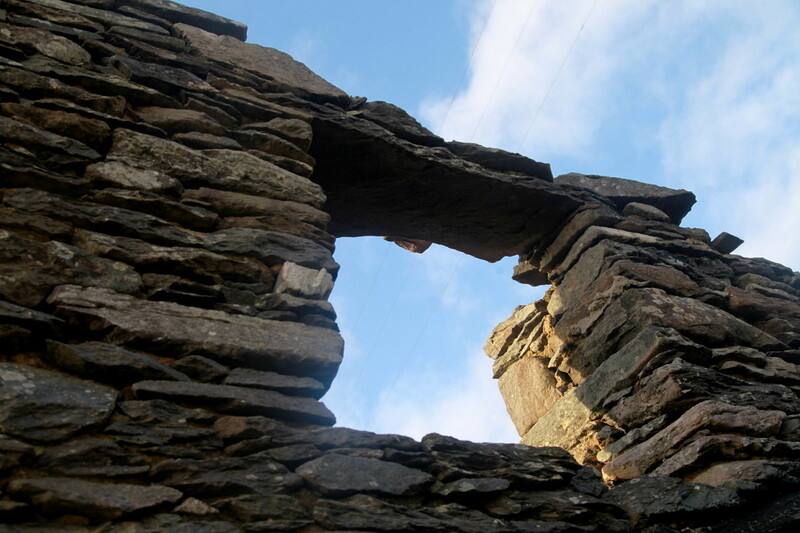 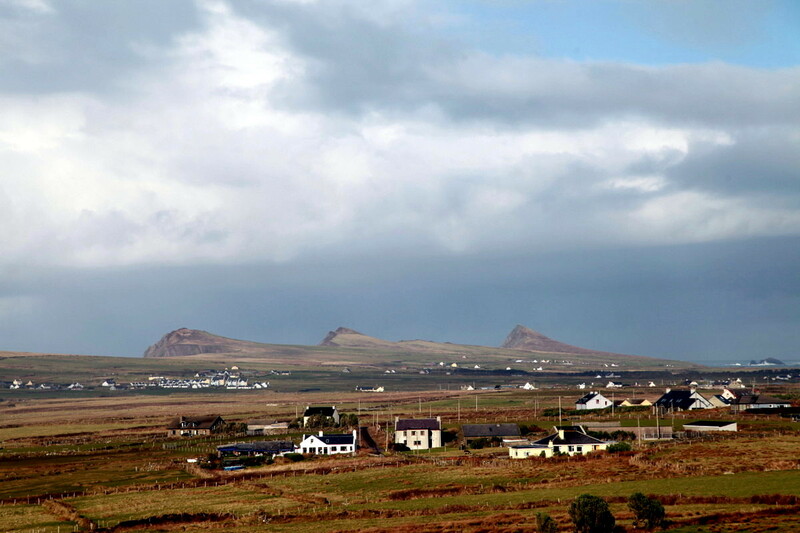 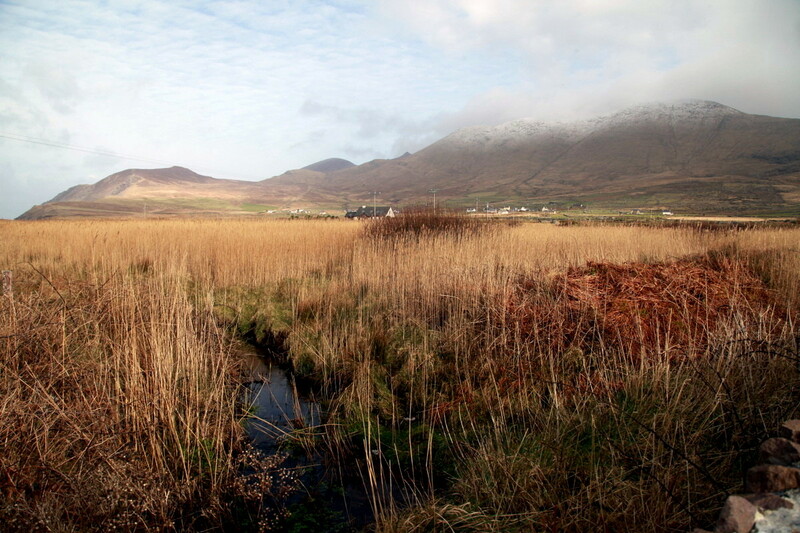 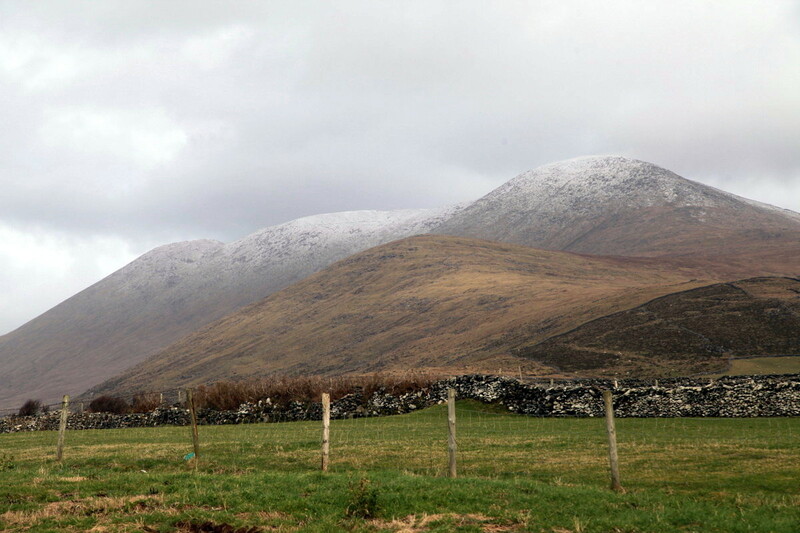 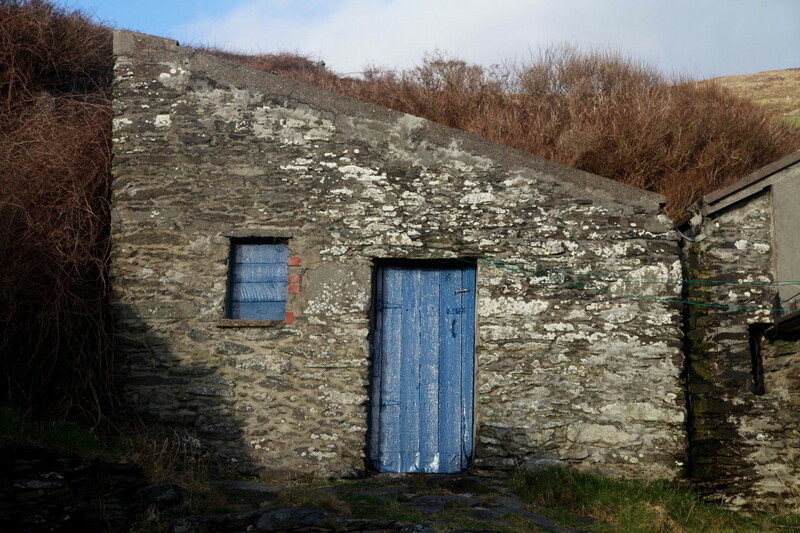 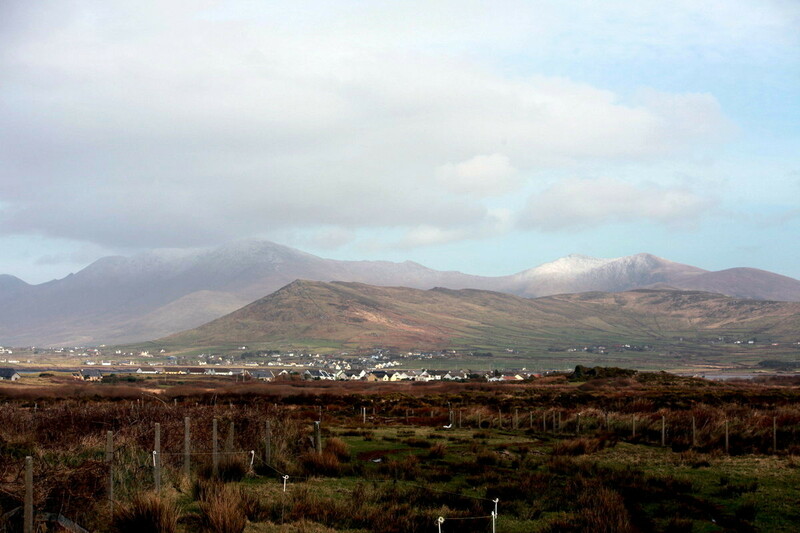 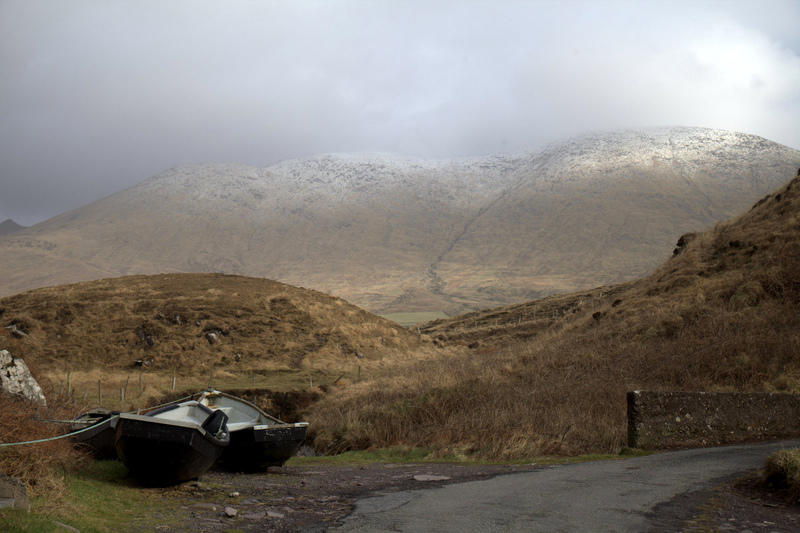 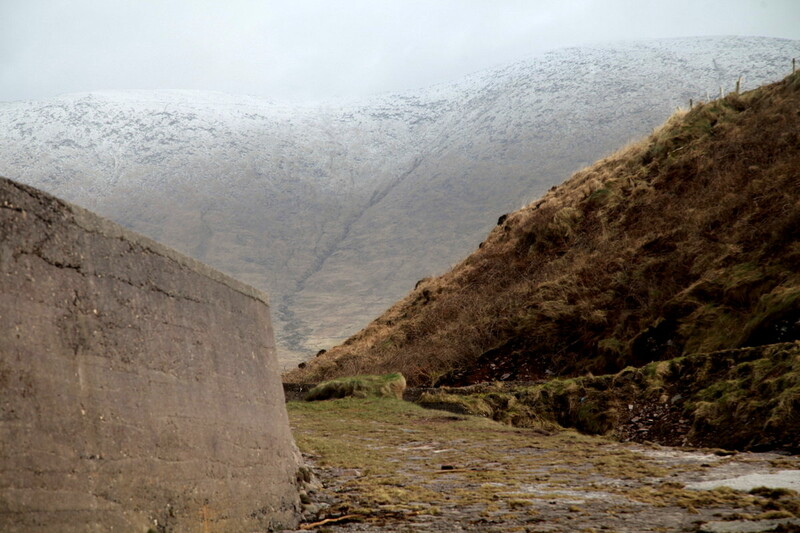 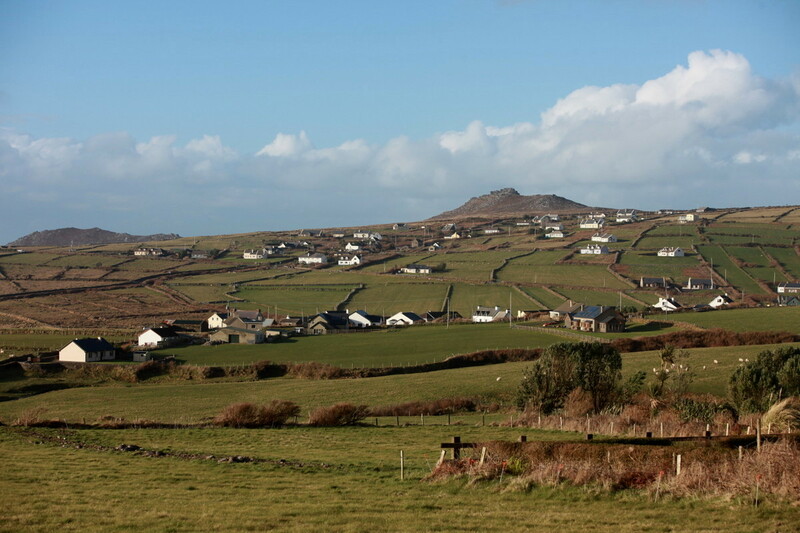 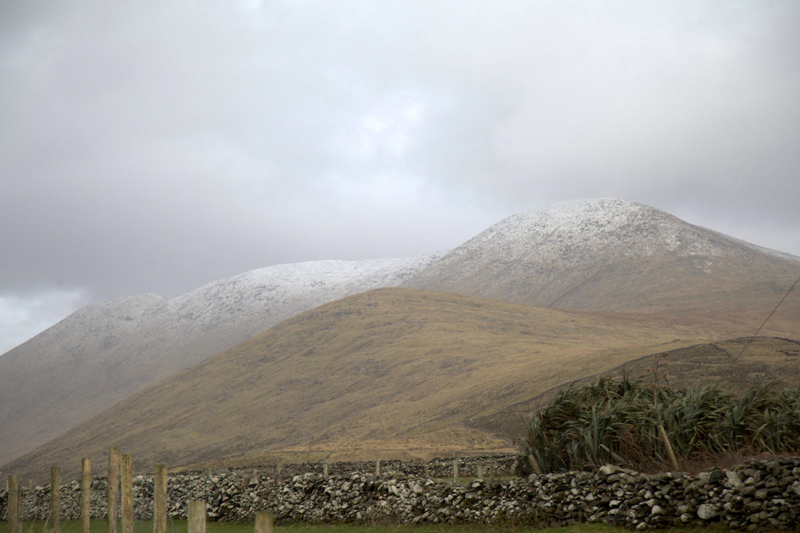 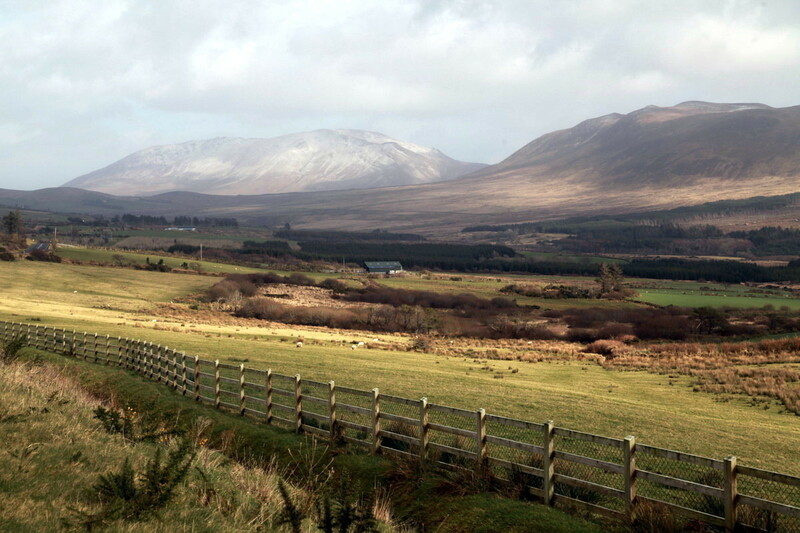 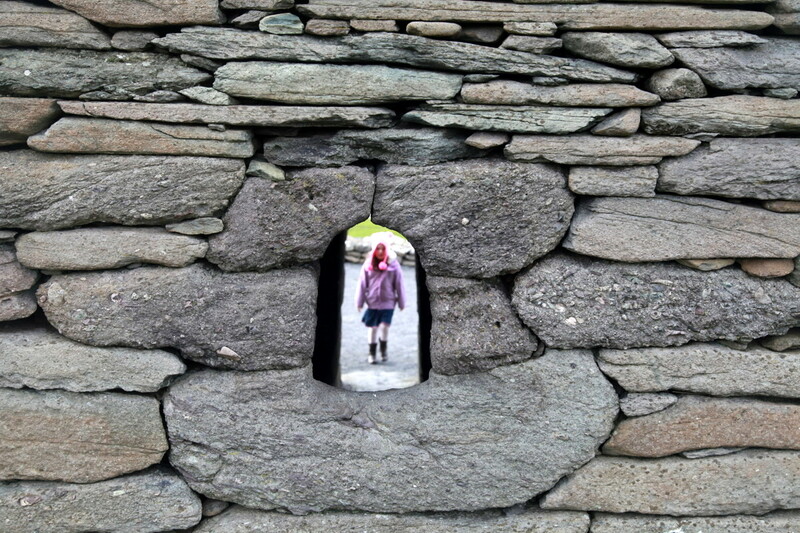 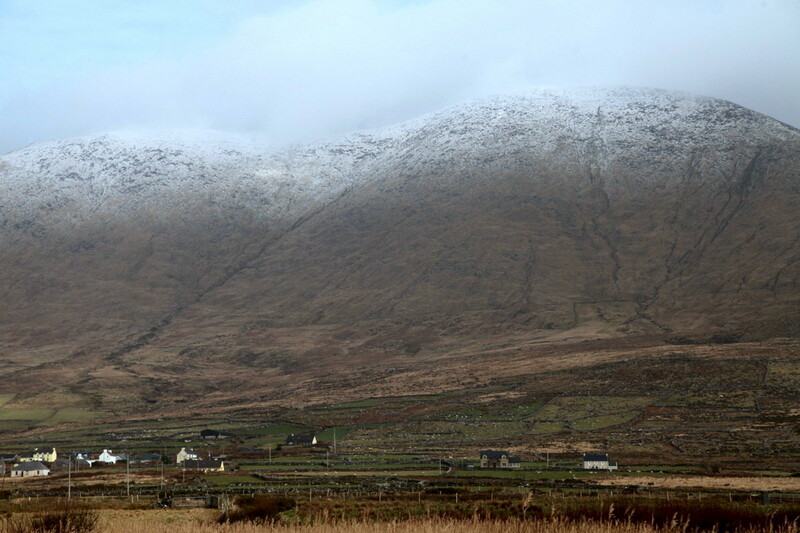 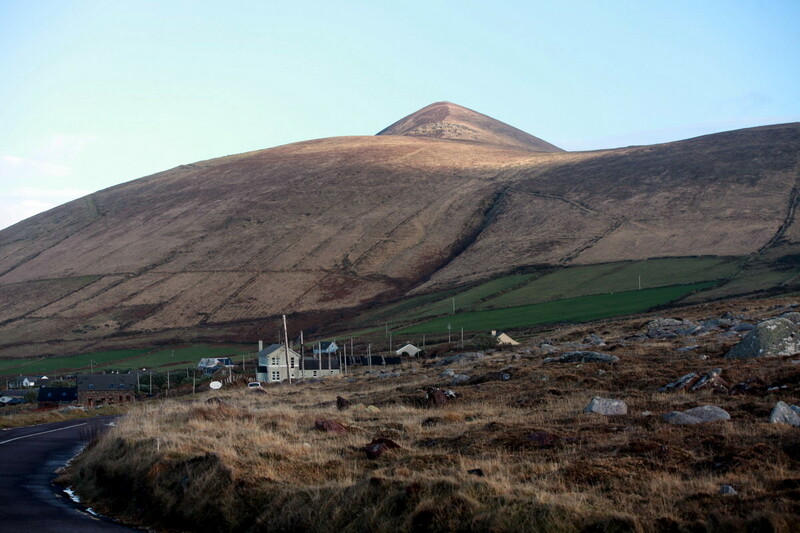 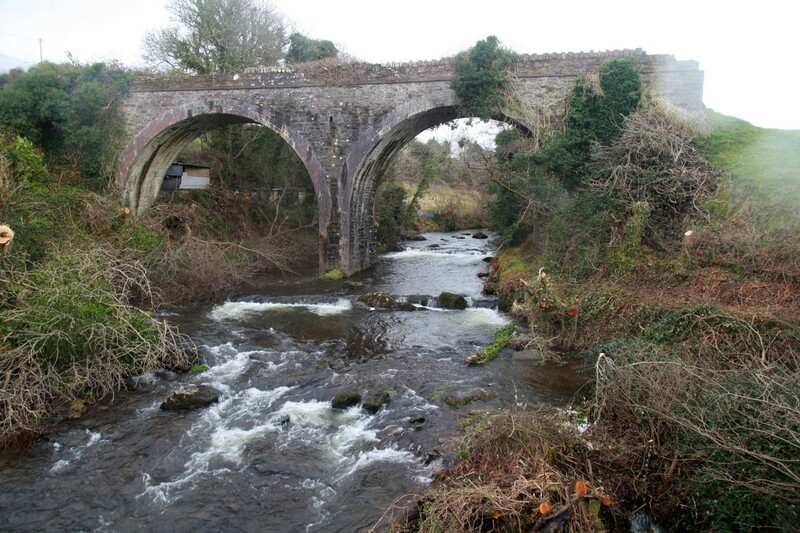 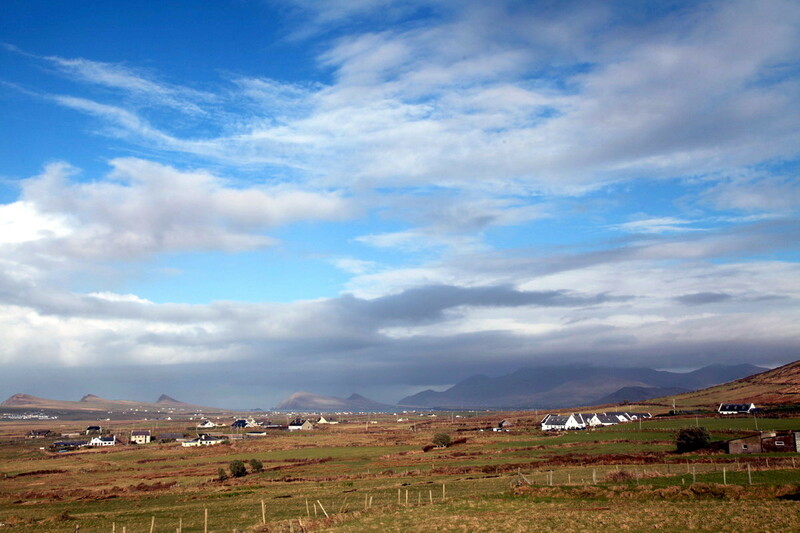 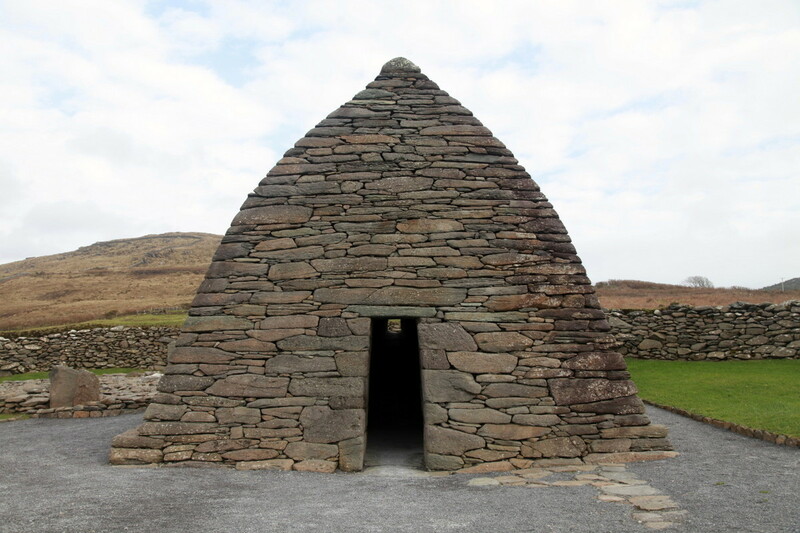 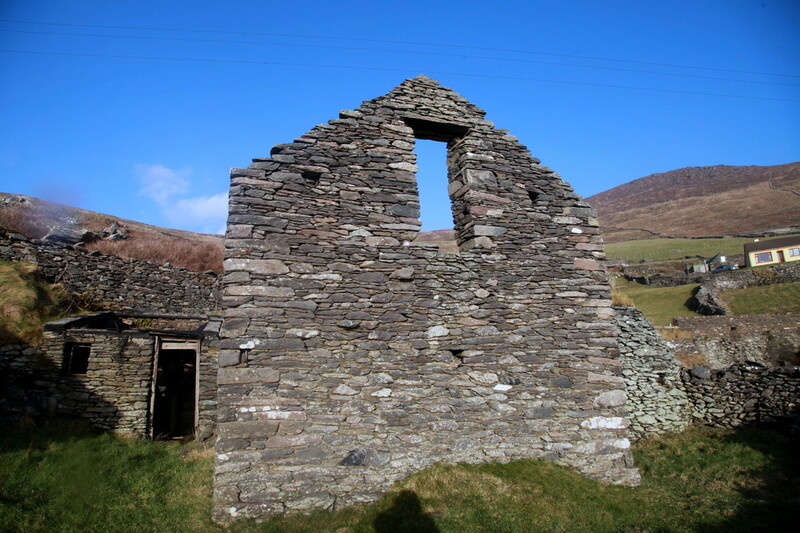 When at Ballyferriter (https://singersongblog.wordpress.com/2015/02/26/scoil-cheoil-an-earraigh-ballyferriter-co-kerry/) I had a couple of opportunities, with breaks in the weather, to get out and have a look at the countryside between Slea Head and Mount Brandon. 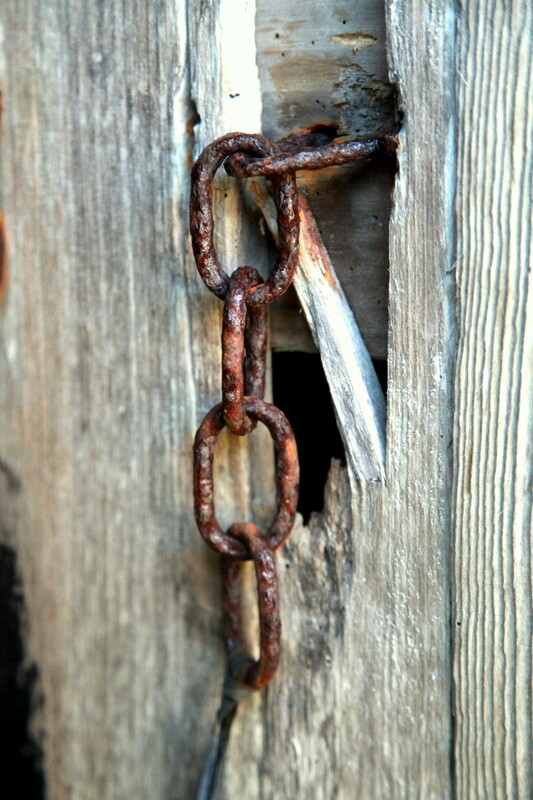 I was pretty lucky but it was frustrating as well as I couldn’t help thinking she was like a heavily-veiled Turkish dancer shyly lifting her shroud to reveal the beauty within and then quickly covering up again. 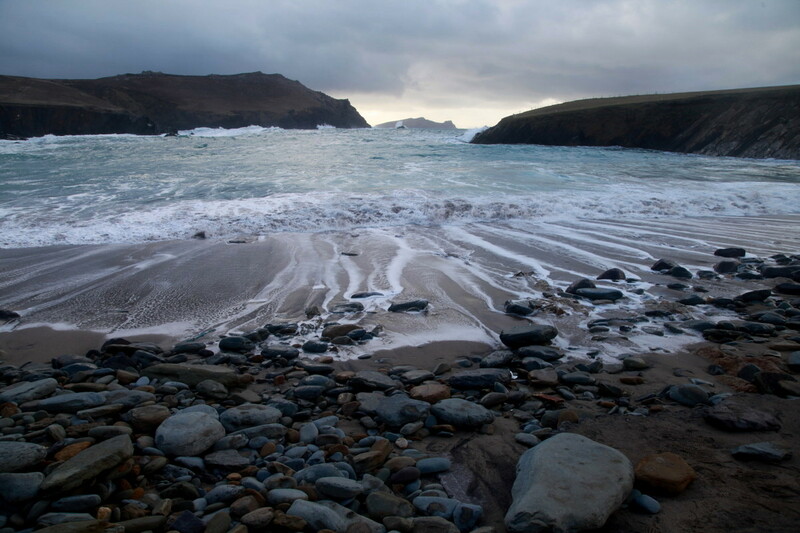 Tantalising me with fleeting glimpses, just as the sun peeks out before another squall or hailstorm swept in. 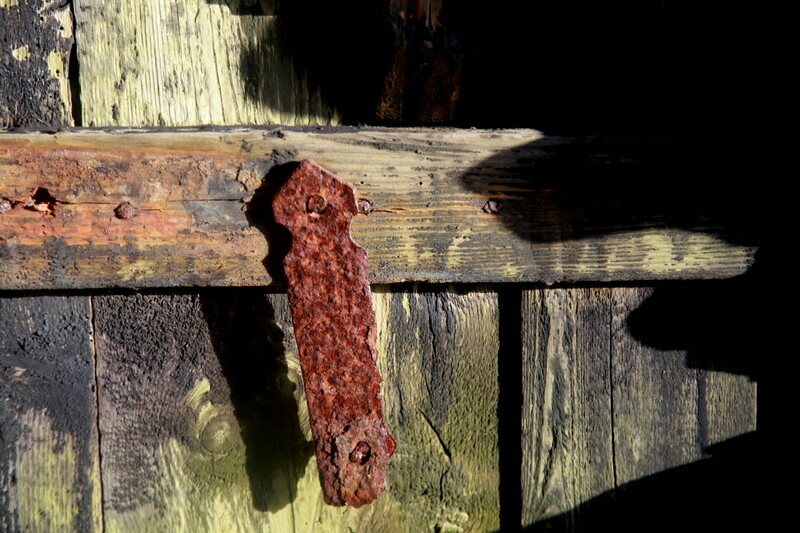 You had to be quick with the camera to catch it. 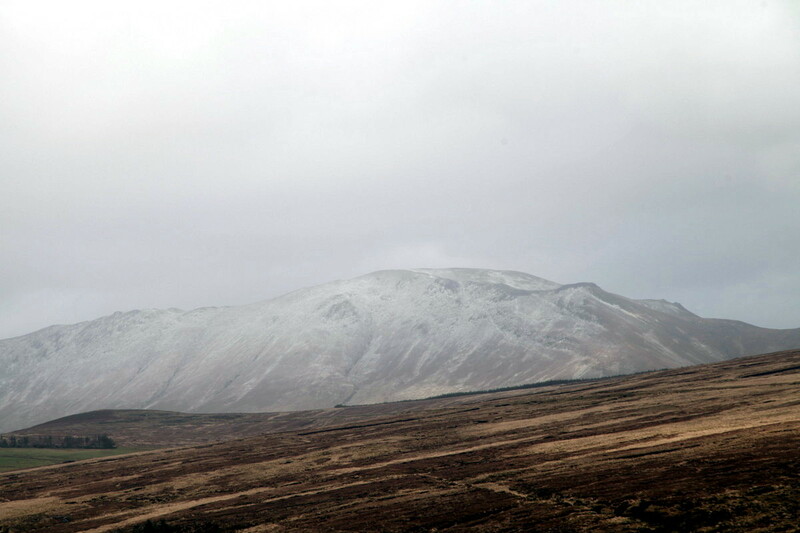 There was a snowfall the day before I arrived and another while I was there so Mt Brandon had a good dusting which, when the mist lifted, contributed to an Alpine feel. 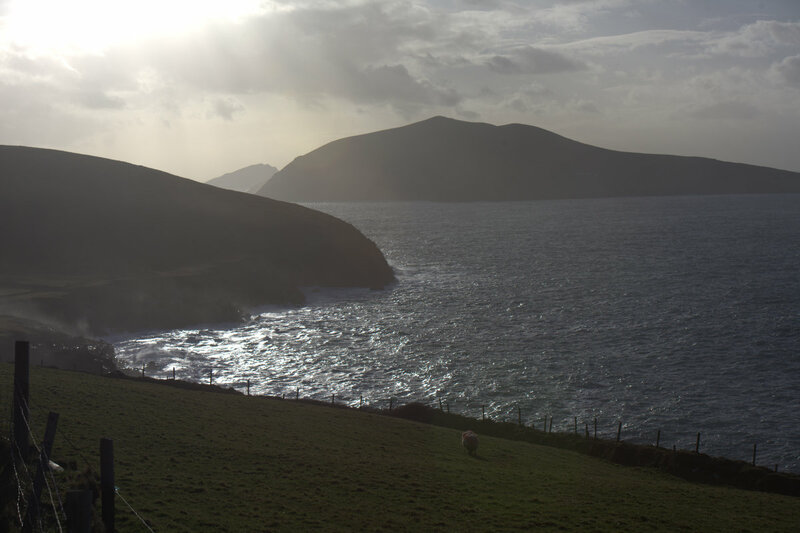 The west Kerry landscape is so beautiful. 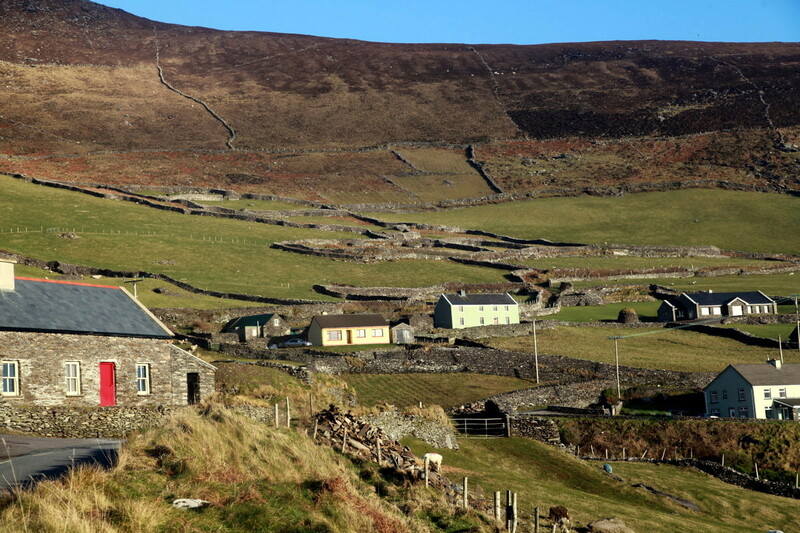 A little more ordered than Clare (without the wildness of the Burren) but a patchwork of stone-walled verdant fields dotted with quaint villages – almost the archetypal Ireland. 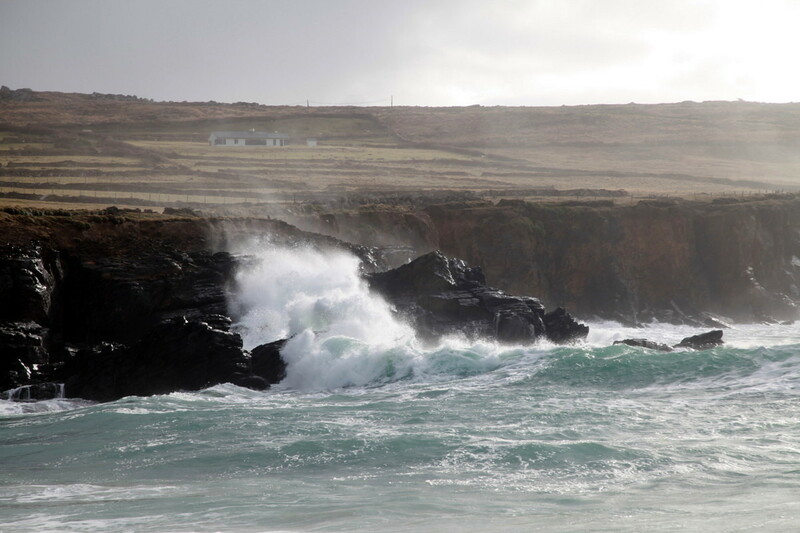 It has a rugged Atlantic coastline in common with West Clare and some spectacular beaches, which on this particular weekend were being pounded by some mighty waves. 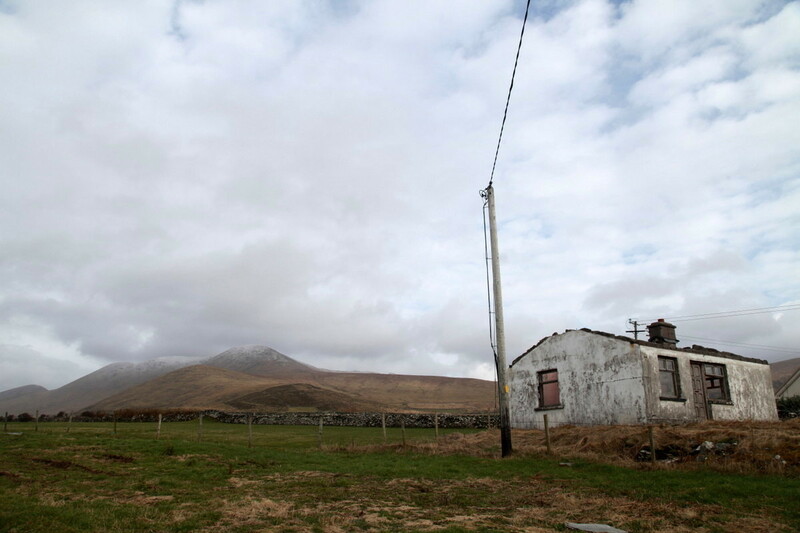 It is no wonder the area attracts tourists in droves along with artists, filmmakers, musicians and people seeking the ‘real’ Ireland. 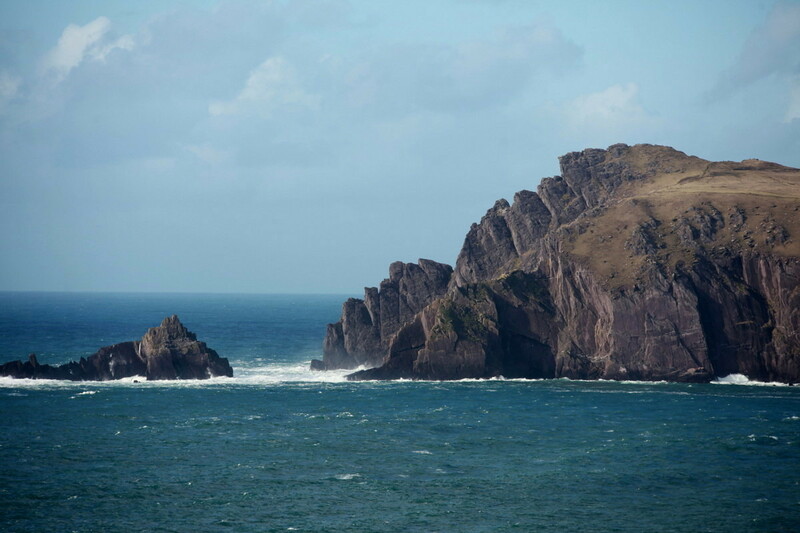 Here are some photos which I think will give a taste of the extraordinary beauty of this part of Ireland. 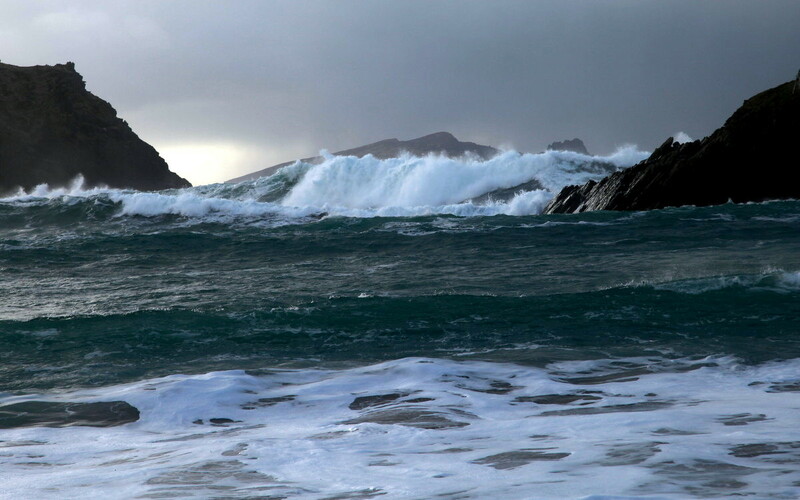 But it is only a taste and I will return to have another look and explore further when the weather is kinder. 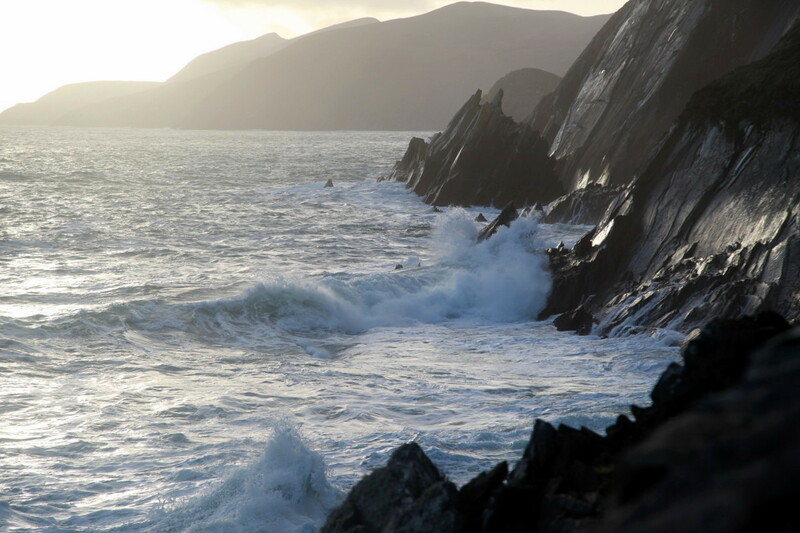 So expect more.